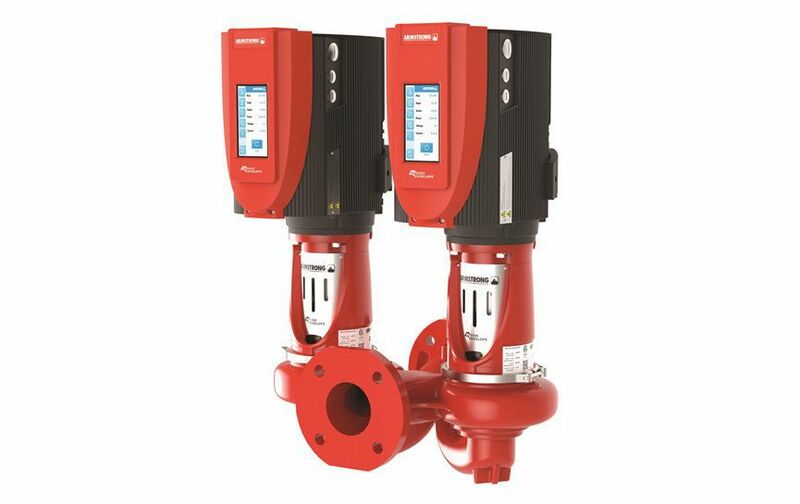 DescriptionPipe-mounted 2-pump unit with integrated intelligent controls for space-saving installation, superior energy performance, and parallel-pumping or full redundancy operation. 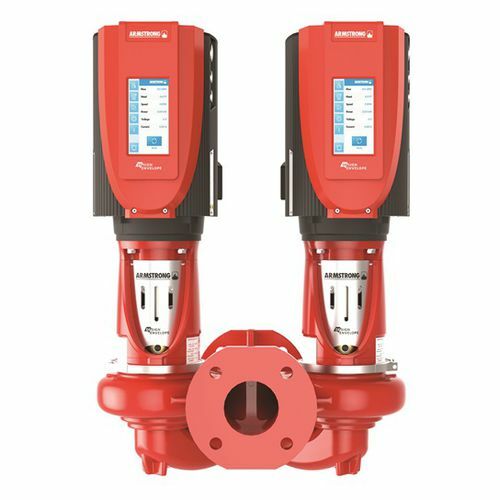 Saves up to 75% in energy over comparable traditional constant speed or variable frequency operated pump installations. Remote services through internet to enhance reliability and sustain optimal performance over life of pumps. ConfigurationOn-board Intelligent Variable Speed controls with Sensorless control. Split-coupling design and outside balanced or inside single spring mechanical seal. Controls enclosure UL type 12 or UL type 4X for outdoor applications. 1-10hp range standard with iECM motors that reduce losses by more than 20% over NEMA Premium efficiency. Network capable for remote performance management services.